Call to action by Rheinmetall Entwaffnen. 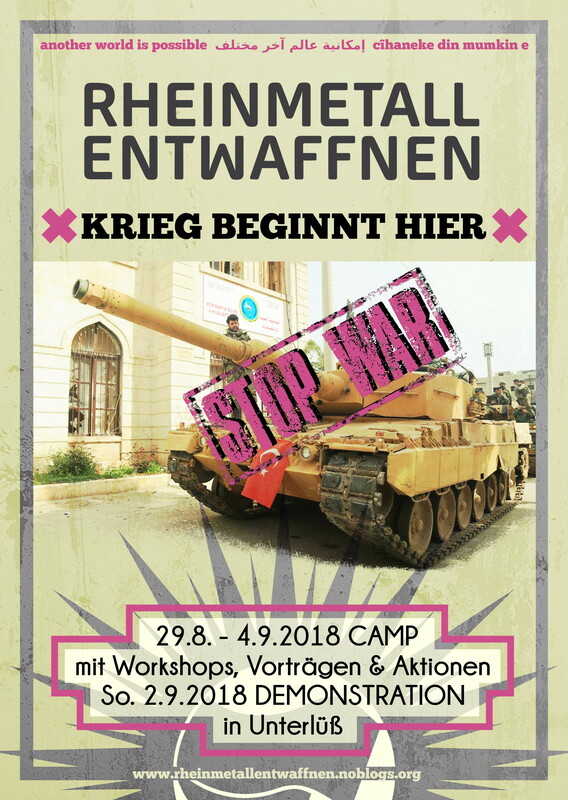 August 29 – September 4, 2018: Camp with actions workshops and a demonstration in Unterlüß, Germany. Unterlüß is in the German state Lower Saxony (between Hannover and Hamburg). Originally published by Rheinmetall Entwaffnen.